Before I begin, I know I missed the midweek blog. I had a baseball fantasy team (I won the championship of 10-team league), but that’s obviously over. I had a couple of other obligations last week as well. I also should mention that I was sad to hear the news about LSU basketball player Wayde Sims. It’s going to hurt the team, but that’s a small consideration compared to a life cut short like that. I’ve lost a couple of other people prematurely who were important in different ways to my sports fandom in other Septembers, so I’m always glad for September for the cooler weather to commence. Speaking of cooler weather, that’s usually when the Ole Miss game is played, but it was early this year. Here is the updated information about the LSU/Ole Miss series. I don’t have a whole lot to say about the game though. 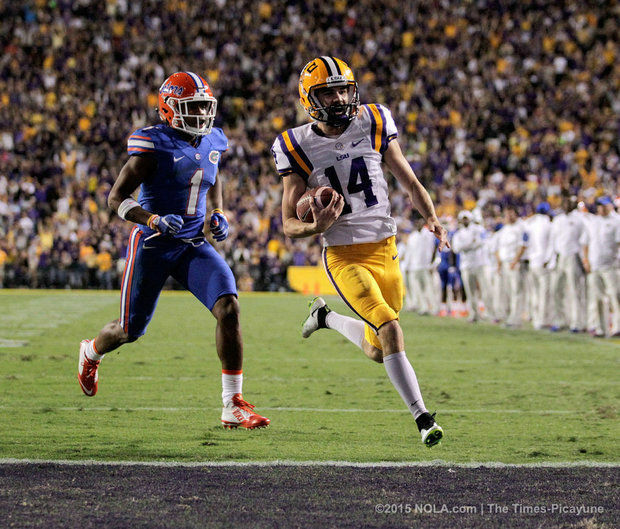 It was sloppy on both sides, but LSU just has a lot more talent. There were a couple of fumbles, but Ole Miss had a lot more penalties than LSU did (one of which negated a fumble), so it balanced out. It was nice for Burrow to do well statistically, although I’m not sure how well the land plankton compare to other SEC defenses. I plan to talk about the upcoming Florida game later this week. I heard an interesting discussion about it today that I’ll talk about as well. 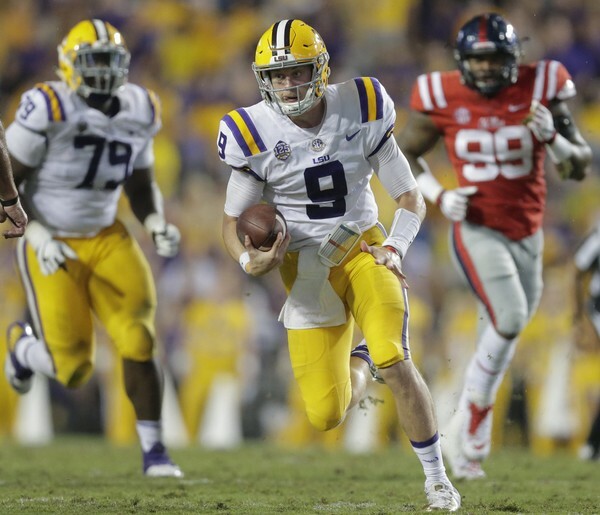 LSU QB Joe Burrow accounted for 388 total yards against Ole Miss. If you didn’t notice, I did complete my first official computer rankings of the year. I’m obviously not following them exactly in this list, but there were only two teams below whom I moved more than 4 spots. The first was Auburn, which I thought belonged one spot ahead of Washington, which it beat. The Plains Tigers just have low-value wins like Alabama St., Southern Miss, and Arkansas that makes their computer numbers look relatively bad. The second was Central Florida, who has a 17-game winning streak and lost out on potential points due to the hurricane. I will not move either team as much next week or in future weeks though. There will probably be only a handful of deviations overall from the computer order next week. Some people have been confused about why I change the approach from week to week, but I just think people don’t realize the transition in other mediums. You start with preseason, which is only about how good you think teams will be, maybe with a little bit of consideration for how good they were in prior years. Then when it comes to bowls and the playoff, you want to exclusively base it on how well a team did this season. You can’t make that transition and approach each week the exact same, but the polls tend to have this arrested development where they try to do that. I imagine them thinking, “I moved team A up 5 spots because they beat team B last week, and team B was in the top 10.” They’ll do that just as much in November as in September. They don’t think back and wonder if team B was only in the top 10 because of what they did this season or not, and then if team B loses to several other teams they don’t take away the extra credit they gave team A. They only reevaluate when it gets right to the end. I don’t understand what they’re waiting for. I won’t have as much to say about my decision-making process going forward. Where I do make decisions I’m mostly just trying to provide a smooth transition from subjective to objective. It’s going to be more about why the computer formula reacts to input the way it does. I will talk about the top teams a bit. I didn’t want to move LSU up another spot until they do something more impressive than beating Ole Miss at home. Ohio St. had a better win than Clemson did Saturday, but I’m no longer holding the closeness of the win over Texas A&M against them. The computer had the orange Tigers a good bit higher, so I followed that. Notre Dame is playing well just in time (and I believe Stanford is also better than Syracuse), so I’m now willing to look past the close final scores early on. Those are two examples of how margin of victory won’t really factor in going forward. I’ve talked about Army and Duke in the last couple of weeks. 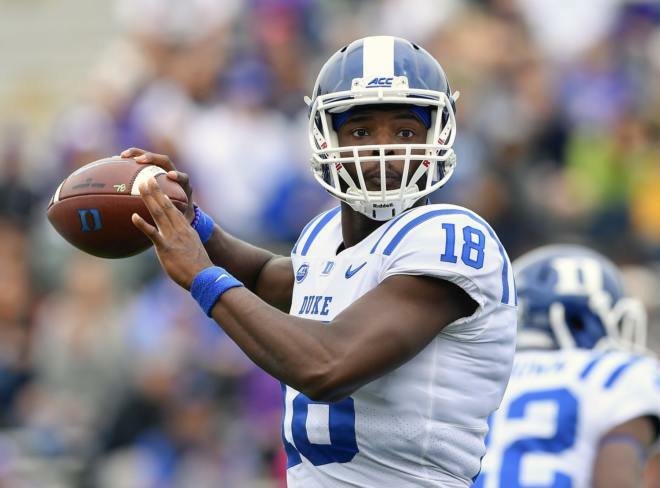 Duke beat Army, so even though the Blue Devils lost and the Cadets won in big games last week, I decided they were close enough to put the winning team (especially with one fewer loss) ahead. I’ll just briefly address the other new teams on this list. West Virginia held on in Lubbock to remain undefeated, which I considered in giving them an extra boost here. Florida had a good win in Starkville. I’m still skeptical of North Carolina St. and Indiana, but as I explained objective numbers are taking more of a role now. Indiana doesn’t get much credit for beating Rutgers, but it has moved up as other teams have lost or are no longer receiving extra subjective credit and did too well in the computer ratings to put lower. North Carolina St. got a numerically helpful win against Virginia and is undefeated. The Wolfpack and the Hoosiers are the only two teams to beat the Cavaliers, but we will see if that means anything soon (when Virginia plays U. Miami and Duke in the next two weeks). Apart from Michigan, all the teams who fell out lost. 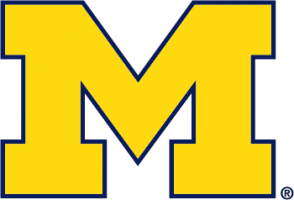 The Wolverines are getting a lot of credit in other places for beating winless Nebraska (partly due to margin of victory). That doesn’t count for much here. Northwestern, the team they barely beat on Saturday, is 1-3 and lost to Akron. By the way, that’s an example of margin of victory the other direction. One reason I’m not that far away from many rankings who consider margin of victory is it tends to balance out. Anyway, I just didn’t see the logic in putting Michigan ahead of any team on this list, but they’re still close to the top 25. LSU did not get the most obvious target, Lane Kiffin, for the offensive coordinator position, but I don’t know if that’s a bad thing. Instability at coordinator added to the LSU quarterback problems that existed before Cam Cameron’s arrival, and that’s what we would have gotten. It’s possible LSU could have gotten Kiffin as the next coordinator by presenting an attractive enough offer, but it would have only temporarily postponed his next head coaching job. Also, one of the arguments for going after Kiffin was that even if he wasn’t with LSU permanently, at least we would have gotten him away from Alabama. He left Alabama anyway. Call it sour grapes if you like – I think LSU was looking more closely at Canada than they were at Kiffin in the first place – but I honestly think this turn of events is in LSU’s favor. Before I get to the positives and negatives of his past performance, some people might be nervous because Canada has made a series of stops as well. I think that’s less of a concern because he’s never been a head coach, and he’s never coached in the NFL. Offensive coordinator for one of the best programs (not to pat ourselves on the back too much, but only a few have multiple national championships since 2003) is his highest aspiration for the time being. Also, as I’ll get into, I think this is the situation that might fit him best. Canada probably isn’t the type who would fit in the other places. First I wanted to address the concerns that Canada has moved around too much. Canada’s previous moves made sense in pursuing the type of job he has just attained. He did take a bit of a step back when he left Wisconsin for North Carolina State, it wasn’t his fault he got there a year before Bret Bielema decided to go to Arkansas. I’m not sure why he didn’t follow Bielema to Arkansas, but I doubt it had to do with being unable to coach the offense well enough. ESPN said they “butted heads”, but it may have had more to do with the opportunity to coach with former NIU coach Dave Doeren again. Although they were outmatched in the Rose Bowl, his Badger team had scored 70 points in the 2012 Big Ten championship game and averaged about 30 points per game. Canada’s departure from North Carolina State was also not his decision. After a rocky first year with the Wolfpack in which Canada couldn’t seem to find a reliable quarterback, the team averaged 30.0 and 32.2, respectively, in the next two seasons. The only sense anyone could make of the N.C. State firing as far as performance was that there were a few key games with relatively little scoring: 13 against Virginia Tech, 13 against Louisville, and 17 against Florida St. Louisville and Florida St. had reasonably good defenses in 2015, so it seems strange to fire a guy over one questionable game, but that’s apparently what they did. Also, I would note that all three point totals would have been enough for LSU to beat Alabama this season, and the Florida St. point total would have been enough to beat Wisconsin and Florida as well. 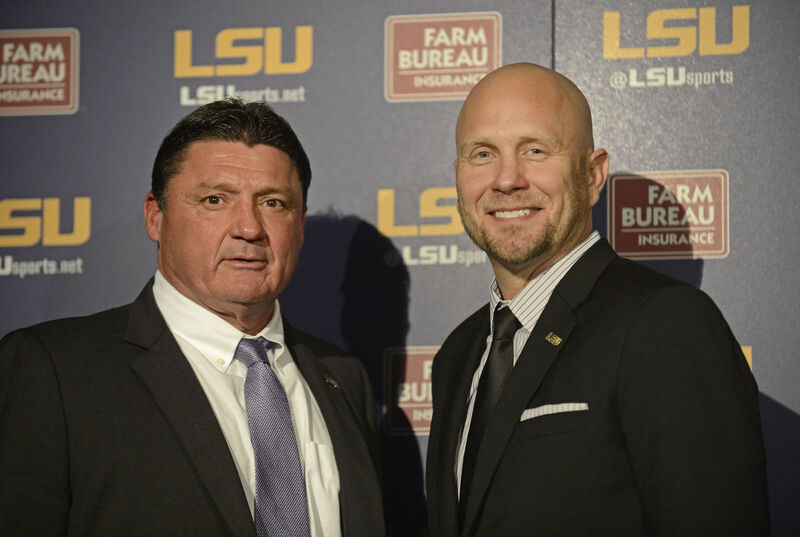 I would venture to guess that Canada will benefit from the kind of defense Dave Aranda seems to be running at LSU. Canada said during the press conference that if the pace of the game dictates winning 10-7 he has no problem with that. That reminds me… Canada and Aranda coached against each other in 2012. 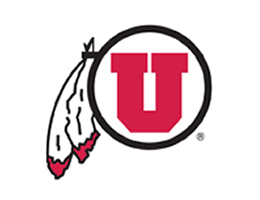 Final score: Wisconsin 16, Utah St. 14. I guess Aranda and the Aggies did a good enough job in that game that most of the USU coaching staff was hired when Bielema left for Arkansas. I also liked that Canada doesn’t seem to be a purist in terms of what “system” he’s going to run. He’ll use multiple running backs in the backfield, he’ll throw to tight ends, and he’ll let the quarterback run if that’s in his skill set. Here is some more detailed information about what Canada likes to do. Canada has been an offensive coordinator for 10 consecutive seasons. Before going to Wisconsin, he also had success at Northern Illinois in 2011, where his offenses averaged 38 points per game. His tenure at Indiana was a mixed bag. Canada helped to coach the Hoosiers to their first bowl game since 1993 in his first year (2007) after the death of head coach Terry Hoeppner in the offseason, but his offenses did not average more than 25 points per game again until his last year there in 2010. A little bit of additional trivia… Canada was also with the Hoosiers (as an undergraduate assistant) in that previous bowl year of 1993, and the man who brought Canada back to Indiana (as a QB coach) was actually former LSU head coach Gerry DiNardo, who preceded Saban. In his career, Canada has also been a position coach for tight ends, wide receivers, and running backs. I don’t usually comment on recruiting until the ink is dry and sometimes not even then, but with coaching turmoil, I think it’s an important thing to check on. Orgeron kept some recruits guessing when he said at one point he wanted a pro-style quarterback and at another he wanted the spread, but it seems Canada can offer the best of both. It’s a good sign that St. Stanislaus (MS) quarterback Myles Brennan is back on board. Brennan is a pro-style quarterback who set state records for passing but also has a decent amount of rushing yards. 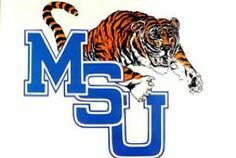 Junior College wide receiver Stephen Guidry, who de-committed in the wake of the Miles firing, also recommitted to the Tigers. Guidry attends Hines Community College, also in Mississippi, but went to high school in Louisiana. The LSU depth chart at the position seems to be getting shallower. 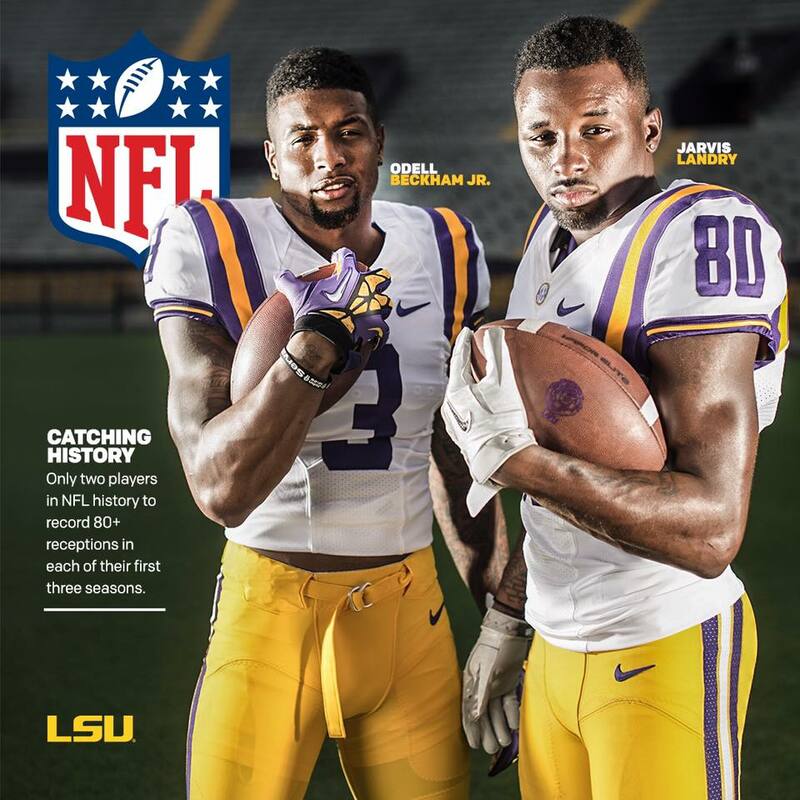 Travin Dural’s eligibility will expire, Jazz Ferguson will be transferring after being suspended, and Malachi Dupre may declare for the NFL draft. 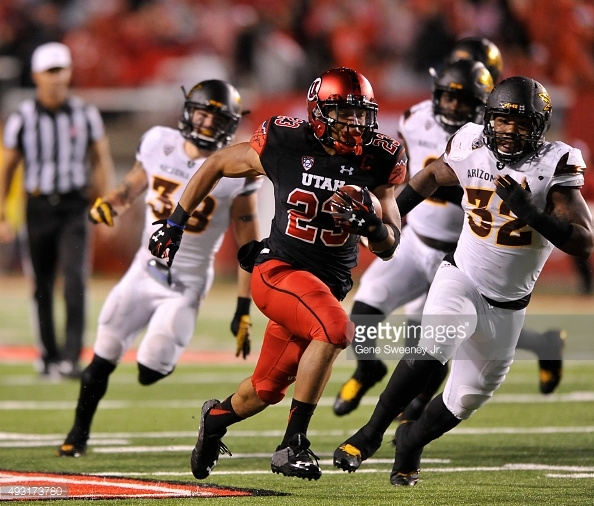 If so, that will mean that only two wide receivers will be returning as upperclassmen. The only other recruit (unless I’m misinformed) who de-committed from the Tigers since the Miles firing was Lowell Narcisse, a dual-threat quarterback from St. James (LA), who is also back on board as of this morning. I didn’t think he and Brennan would both want to come to LSU at the same time, but the more the merrier as far as I’m concerned. The last few years have shown us that you can’t always count on someone who appears to be the top guy, especially before they start taking snaps in a game. Canada said he would use multiple-back sets. I’m not sure if that includes quarterbacks, but obviously there are some spread plays (as well as more traditional plays like halfback passes) where you’re not supposed to know whether a back will act like a quarterback or a running back, particularly not with the way Canada likes to change formations before the play. SEC Country went into more detail about Narcisse and the rest of LSU’s potential key recruits. DandyDon (see the 12/19 update) also covered some of this. I understand the Tigers have room for at least 5 more players and possibly up to 7. This speaks for itself about two of my favorite NFL players at the moment. I’d like to give credit to fullback JD Moore, who earned the Charles E. Coates Award given to the senior who demonstrated the highest commitment to scholarly work in combination with excellence on the field. You might not notice him during the game as a casual fan, but he’s amazing when someone slows down the film and points him out. The team MVP award went to senior linebacker Duke Riley. I don’t know how you replace guys like that in isolation, but that’s where teamwork and player development come in. I know intricate detail about Xs and Os and recruiting aren’t historically my focus on this blog, but I have a renewed interest in how next year’s team is taking shape with the coaching changes. I don’t see us winning the SEC, especially with 5 conference road games next season, but we were in every game this year. But if we become the type of team to win close games by converting scoring opportunities (we had some close games with late yards but not late points), anything could happen. Regardless, I believe next season can be the start of something special. The last national championship came under a newish head coach and an innovative offensive coordinator (although Crowton never really found another quarterback to run his system after Matt Flynn left). 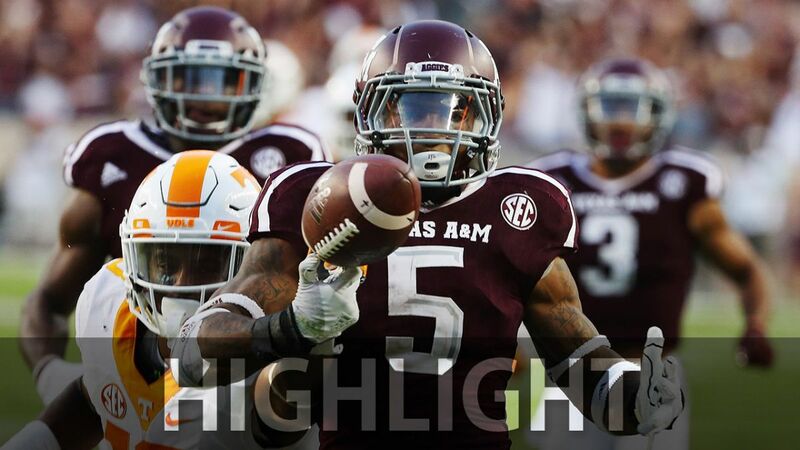 I’ll talk about it more with my SEC Wednesday feature, but of course the big game was Texas A&M and Tennessee. Overtime is one of the ways you can be right but still get the spread wrong. They were exactly even through 60 minutes, so if you assume Tennessee has 6.5 extra points, picking Tennessee should be a win. What makes it even more annoying is that if Texas A&M had scored a touchdown to win in the first overtime (even if the Vols didn’t score at all), Tennessee would have still been the correct pick. Going even longer without being outscored only proved me more right, yet it made me wrong according to the bookies. I’m just glad I didn’t put actual money on it. Anyway, I did pick the correct winner at least. Tennessee didn’t fall very far naturally because A&M on the road in overtime is the least-costly loss you can have right now and also because Tennessee had the most points going into the week. Still, I decided the fair thing to do was to move them below Ohio St. I think it’s too early for a team with a loss (despite the circumstances) to be in the top 5; but of course if they beat Alabama, they will be in the top 5 next week. Putting Alabama #1 and switching Tennessee with Ohio St. were the only changes I made from the computer. If Alabama wins, I expect them to be the natural #1, so maybe next week I can go without changing anything at all. In one of the most amazing plays this season, Tennessee forced a fumble in the last moments just as it appeared Texas A&M was going to put the game away. The turnover led to the tying touchdown. I don’t think 8-10 are that good, but the more credible teams keep losing or having bye weeks. How the mighty have fallen when you realize Washington beat Oregon and got jumped by Ohio St., who beat… Indiana? I know Florida St. has two losses, but they keep playing competitive opponents. I did make losses slightly less devastating this year, but it helpss that they’re not bad losses. Despite the margin of victory Louisville had, it just counts as one loss to a decent team. 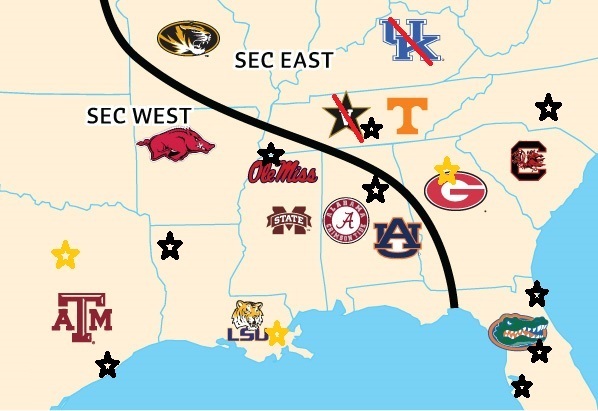 SEC teams on the map and the 12 likely SEC bowl locations. The gold stars are CFP bowls. An SEC team in such a bowl could also go to Miami (off the map). I don’t like to post something on the same day as a major game, but the Pac-12 championship doesn’t really affect what I’m talking about here. I do think the Pac-12 is pretty strongly the second-best conference, and I believe a 2-loss champion (if Arizona wins) is probably good enough to be in the top four, as I mentioned in my rankings blog. Anyway, my feeling on the conference does not change based on the outcome of that game. I don’t think last week’s SEC losses (all by the East) indicated the SEC West wasn’t dominant. As mentioned, Georgia should have won anyway and Georgia Tech will be playing for the ACC title, so that’s not so bad of a result. Florida, Kentucky, and South Carolina registered a combined 0 wins over the SEC West and were playing the other top 4 teams of the ACC. Given their relative position in the SEC, Georgia’s loss was the only one that I felt damaged the SEC overall. Although it doesn’t help in the overall record, I thought it was an encouraging sign that Kentucky, one of only two SEC teams who failed to make a bowl game, got close to beating a very good Louisville team on the road. Had the Wildcats won, they would have qualified for a bowl game as well. The top three SEC West teams (Alabama, Mississippi St., and Ole Miss) did not lose any games to the SEC East this season. LSU finished tied for fourth (with Auburn) and also did not lose any. The only SEC West teams that lost games outside of the SEC West were the other three teams, and Georgia and Missouri were the only teams in college football to beat any of them. There were a few really strong out-of-conference wins too. LSU beat Wisconsin, the top team of the Big Ten West (and it wouldn’t shock me if the Badgers beat Ohio St.). 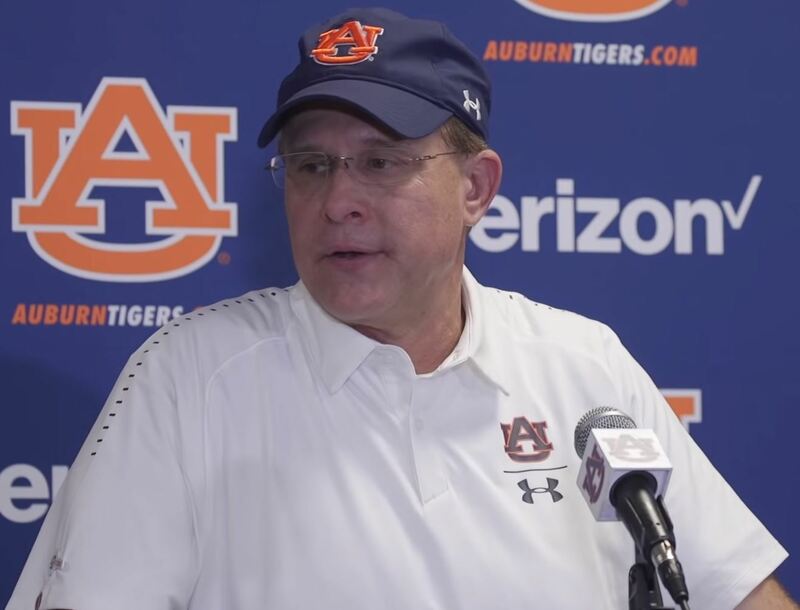 Auburn, the other team who tied for fourth, beat Kansas St., which could tie for the Big XII by beating Baylor this weekend. Otherwise, they could be used as an argument to put Baylor in the top 4. West Virginia, losers to Alabama, beat Baylor and lost to TCU (another top-4 possibility) by one point. I also don’t dismiss Ole Miss’s win over Boise St. I still can’t explain Missouri’s loss to Indiana except that apparently when they play badly they really play badly. They also lost to Georgia 34-0. That’s a very unusual result for two teams that compete with one another for a division title all year, especially being that the loser of that game won the division and lost no other conference games. Georgia and Missouri will probably occupy the top two non-CFP Bowls for the SEC, which are the Outback and CapitalOne Bowls. Most predictions I’ve seen place LSU against an ACC opponent in the Belk Bowl (in Charlotte), the TaxSlayer Bowl (known as the Gator Bowl), or the Music City Bowl. We could have a nice reunion with former SEC West head coaches Bobby Petrino or David Cutcliffe, for instance. Not sure if “nice” and “Petrino” belong in the same sentence, except in the sense that competitive teams are nice to watch. The Big XII or Big Ten could also provide an opponent for LSU. Mark Schlabach of ESPN changed his prediction of the Texas Bowl from Texas vs. Texas A&M (which has been widely predicted) to Texas vs. LSU. I wouldn’t have a problem with that as an LSU fan; but as a general fan of the sport, I want to see that Texas/Texas A&M game. I’d rather have a chance to beat a slightly better team than the Longhorns though. A Longhorn site is saying the SEC won’t allow such a game, but I’ve also heard from many neutral sources over the last couple of years it was Texas putting a stop to any game against the Aggies, so I’m skeptical. It’s also possible the Gator Bowl could have a Big Ten team. I’ve seen Maryland and Minnesota suggested as possibilities within the last couple of weeks. Notre Dame was listed for that game at one point, but that was before they dropped the last two games. I’m thinking what makes the most sense geographically would be Arkansas for the Independence Bowl, Tennessee for the Liberty Bowl, and South Carolina for the Music City Bowl. The Birmingham Bowl or Music City Bowl would also make sense for Tennessee, but then the Liberty Bowl or Independence Bowl could have less geographically favorable teams. LSU (I hope and most expect) will be a more highly-regarded team, as will the other top four teams on the SEC West, so it makes more sense for SEC East teams to travel slightly to the West. I also mentioned in the previous blog that there may be three SEC West teams in the six major bowls (not counting the national-championship game). If LSU does not go to the Belk Bowl, that would also be a good one for South Carolina, and maybe one of the others could grab Florida. Speaking of LSU, I also wanted to mention I’m excited about the basketball team, but I might go into that more when there is a lag with the football games. This will probably be my second-to-last pre-bowl conference report. Overall rankings and a list of results from the last three weeks follow. I’m only ranking those conferences (the independents are ranked as a conference) with three or more inter-conference games during the period. The SEC gained slightly against the Big XII with Arkansas’s win over Texas A&M. It’s hard to tell where either stands in their respective conferences. Both are technically toward the bottom of their divisions, but two conference losses aren’t anything to be ashamed of. Arkansas could realistically finish in a tie for second in the SEC West (or even a very crowded tie for first), Texas A&M has a chance to actually win the Big XII South outright. My guess is this is a fairly even match-up, but we need more games to assess it properly. Either could finish in a tie for last as well. The rest of the games weren’t remarkable, although most probably wouldn’t have picked Mississippi St. to beat Houston early on in the season. I think LSU/McNeese St. was the only recent I-AA/FCS game, but that isn’t really considered anyway. 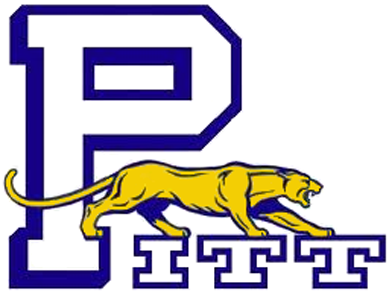 Pitt and Wake Forest aren’t great, but they’re both AQ programs that have had some success in recent years. SMU wasn’t necessarily an easy win by Navy either. I’m not going to penalize them much for losses by the two bottom-feeders, even though New Mexico lost to another bottom-feeder, New Mexico St. of the WAC. Utah is undefeated, but Iowa St. was an important win to give them a little bit of big-conference legitimacy after a weak early schedule. I just thought there were too many losses to have the CUSA up higher, but East Carolina got a good win over an ACC team. They’ve been making a habit of that over the years. It would have been a meaningful upset had the CUSA won any of its other games. Navy isn’t classified as AQ because they don’t get Notre Dame’s special BCS treatment, but Navy is playing like an AQ team right now. The only other loss is by Tulane to Army, and Tulane shouldn’t have been expected to win that game. The wins are nothing impressive, so I had to put them below the CUSA. Eastern Michigan (even if it was a win by Virginia), Middle Tennessee, and Central Michigan (this is not Brian Kelly’s Central Michigan either). Similar reasoning to above. Arkansas St. was the only one with a realistic chance and they played Indiana so close, it’s hard to hold that against them. This is the other side of the coin from the CUSA. If anything, Vanderbilt and Virginia should be subtracted from the AQ category, although they did both play a pretty bad EMU team. Miami U. was a chance to win based on Cincinnati’s other performances (sans Oklahoma). This wasn’t nearly bad enough to drop them back below the Sun Belt overall, however. The SEC still has a big week against the ACC coming up at the end of the year, so there is still a chance for the Big XII. Houston lost to Mississippi St.
UAB lost to Mississippi St.
Toledo lost to Boise St.
New Mexico lost to New Mexico St.
ULL lost to Oklahoma St.